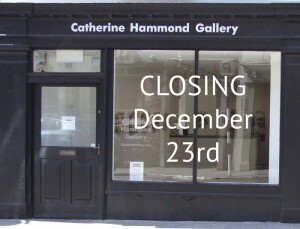 After 14 years of showing work by some of Ireland’s best artists, the Catherine Hammond Gallery closes its doors on December 23rd. It’s been a privilege to share outstanding art to a receptive and loyal audience. Thanks to all the extraordinary artists who worked with me. Thanks to everyone who supported the gallery and its artists by buying art, and thanks to all who visited and shared their enthusiasms. While I no longer will “sit the gallery”, I will continue working as a curator, consultant, project manager, grant writer, and teacher. Next year I expect to present several “pop-up” events. So watch this space! Hurley explores how life’s memories are reassembled in a fluid and non-linear way. Using old photographs, media images, or stills from old Super 8mm film for inspiration, she taps into images remembered by us all, inhabited by people who are everyone and, no one. She adds to them, takes away, changes scale, and amplifies details in similar ways that memories are actually recalled and replayed. 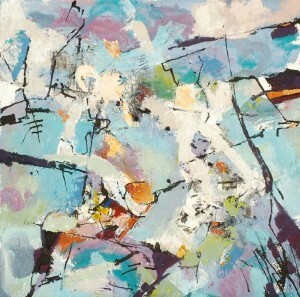 Her colourful paintings exploits the chance elements resulting from pouring and layering paint. 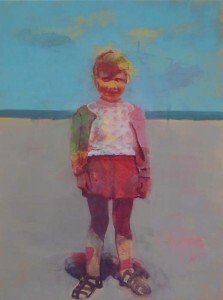 A graduate of CIT Crawford College of Art & Design, Hurley has shown work in several Cork galleries since 2009. For a catalogue of the show, go here. Don’t miss this annual event featuring over 20 of the best Irish galleries all under one roof at the RHA Gallery, Ely Place, Dublin 2. We’ll be bringing work by established and emerging artists, including Cormac Boydell, Donagh Carey, Tim Goulding, Carol Hodder, Maeve McCarthy, Siobhan McDonald, Nick Miller, Hughie O’Donoghue, Frances Ryan, and Catherine Weld. For a preview of featured work, go here.